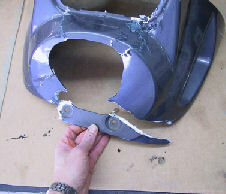 This will show how to repair a damaged Jet Ski / Wave Runner cowl. These cowls are made from SMC (Sheet Moulding Compound). SMC is similar to fiberglass. In fact SMC has about 25% by weight of glass fibers! 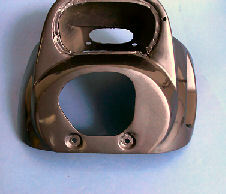 The section of the personal watercraft cowl is where the handlebars come through. As you can see, a chunk has broken off. The first thing we want to do is "tack" the broken piece back in place. 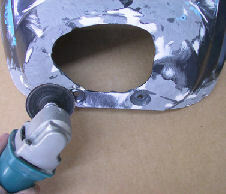 We will do this using the Inta-Weld adhesive. 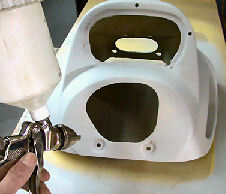 Before applying the Insta-Weld adhesive, spray Insta-Weld Activator to the surfaces to be bonded. After the solvent evaporates, it will leave behind the active ingredient to cause instant curing of the Inta-Weld cyanoacrylate adhesive. 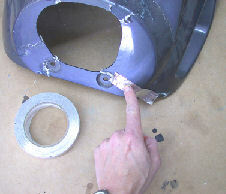 Adjust and align the broken piece where it needs to be and hold it in place with Aluminum Body Tape. 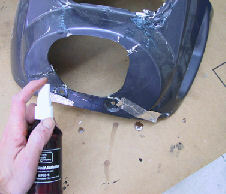 Apply another shot of Insta-Weld Activator to quickly cure the Insta-Weld adhesive. 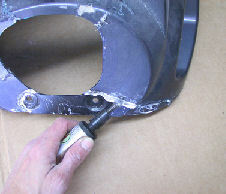 Remove the Aluminum Body tape and dig out a small "channel" along the crack line. 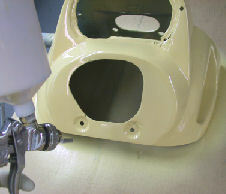 This will provide an area for the epoxy filler to be level with the surface. 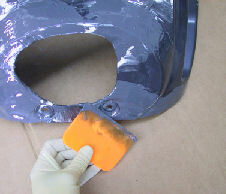 Epoxy fillers, such as our SMC Hardset Filler, adhere best on an abraded surface. 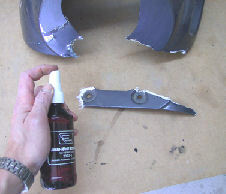 Using 50 grit paper, abrade the area spanning the crack for about an inch (2.54 cm) to each side of the crack. Mix and apply Polyvance's Part No. 2020 SMC Hardset filler to the channeled area and any other low spots. 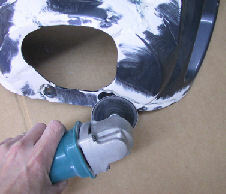 After contouring the filler with 50 grit, continue sanding with 80 grit, 180 grit, and 320 grit paper until the epoxy filler is smooth. 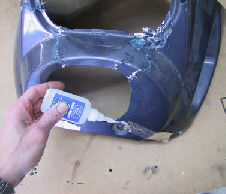 Apply a sprayable filler to fill in sand scratches and other minor imperfections. Apply paint, and you're finished! 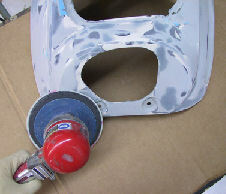 For this particular piece, we used a base coat and a urethane clear coat.